2016 was a great year and we hope to see you all again in 2017! A few weeks ago, we asked you - the players - if we should reset the survival and factions worlds if we would use EpicWorldGenerator to generate the new worlds. When we started the poll, we did not expect much of it, but after a few days 100% of you guys voted yes. One hundred percent of you voted yes, how crazy is that! Because 100% of you voted yes, the only logical thing for us to do is exactly what you all want: reset the survival and factions worlds. How does the update/reset affect you? Down below you can find all the information regarding the upcoming update/reset. Please keep in mind that the information is not final yet and that things may change. With the update/reset, both the current survival and factions worlds will be deleted and replace with new, empty worlds generated by the custom world generator plugin. These worlds contain epic biomes which can not be found in vanilla Minecraft. We will possibly also replace both spawns with nicer looking ones, but we're not sure about that yet. Thank you Mites for helping us purchase the EpicWorldGenerator plugin. Due to certain big (plugin) changes we've made during the preparation of the update, important data like inventories, enderchest content, xp levels, etc. will no longer be usable. Because of this, we are now also forced to reset the SkyBlock worlds. We understand that this will come as a shock for the SkyBlock players, but we can't do anything about it. More information about the SkyBlock reset will be added soon. The current starter kit will get replaced with a brand new one. The kit will be stronger, but unlike the current starter kit, you will only get it once. So take good care of your kit. As usual, the balances of both servers will get reset. After the reset, Survival and Factions players will start with a $250 balance and SkyBlock players with a $150 balance. We will also install a few new plugins to make both gamemodes more fun to play. Along with the new plugins, we will also change/re-configure certain plugins to make them fit our needs better. We will not only change a few plugins and renew some worlds, but we will also change the 'the looks and feels' of the network. Right now, our GUI, chat and MOTD don't really match. After the update, the network will have a consistent 'look' across all servers. It might not be as important as the rest, but small changes make a big difference right? Right now, every gamemode on our network shares the same ranking system and playtime. This will no longer be the case after the update. Every gamemode will get it's own ranks which theme will fit the gamemode and playtime will be earned per server instead of globally. Players who already have played before will get the option to choose in which server(s) they want their current playtime to be transferred to. Do you pick just 1 server? All of your current playtime goes to that server and the others have 0 minutes played. Do you pick 2 servers? Your current playtime gets split in half and transferred to those 2 servers. Do you pick all 3 servers, each server will then get 33% of your current playtime. When you join the network for the first time after the update, a GUI will pop up where you get the option to choose the things stated above. Like usual, we will reset the MCMMO stats for all worlds. Sadly, because all the data is stored at one location, this means that the MCMMO stats in SkyBlock will also get reset. There's no way for us to split the data as the developers haven't added such a feature. However, to make up for it, there will be a double-XP event during the first week after the update/reset. As our current vote rewards are a bit outdated, we will update and replace them with newer rewards. We will also add milestones. When a milestone is reached, we will give away some special rewards. Milestones will be managed by the plugin VoteParty. Right now, we kind of allow swearing as long as it doesn't get too rude, however this will change. We get constant reports from players about other players swearing at each other, being really rude, etc. Minecraft is mainly a game for young children, so we are changing things up a bit. After the update/reset, we will be stricter when it comes down to swearing. We will only warn you a few times, followed by a mute and a tempban if you still don't behave yourself. A basic Anti-Swear plugin will be added to prevent players from saying bad words in the public chat. We obviously know that some of you will still try to swear and find ways around the protection, but for those people, punishment will follow. Even before the update date, we will install a better, more optimized AntiCheat plugin. If you don't use hacks, then you won't notice any difference. Only players with hacks will notice it. I don't want to say too much about it, so I'll leave it at that. Along with the regular update/reset things, we're also working on something secret :P We obviously won't tell you anything yet, but I can assure you that it will be awesome! You're obviously curious about when we will update and reset the servers. We will update the network at the 23rd/24th/25th of February. We will update the network at the 18th of March. The cause of the delay is because I had to undergo an unplanned surgery right before the previous reset date. When we know more, we'll make sure to inform you all about it. - Survival, Factions and SkyBlock worlds will get reset including balances and mcmmo stats. - There will be a double-XP event to make up for it. - A new factions, survival and skyblock kit will be added. 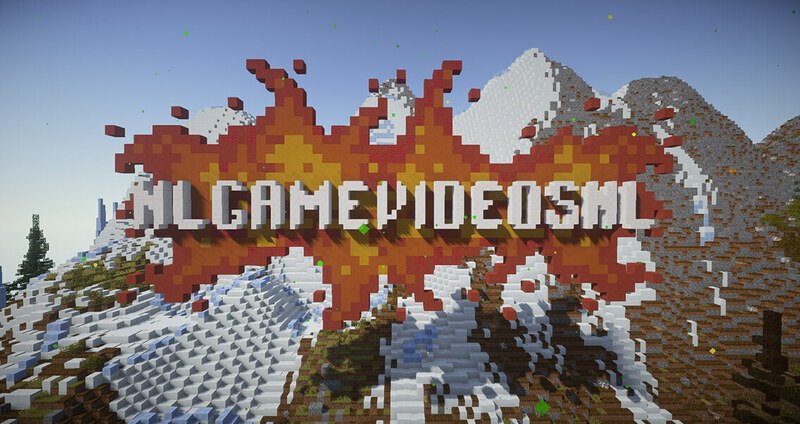 - New plugins will be added to make all gamemodes more fun. - The chat, GUI and MOTD designs will get changed into a more consistent look across all servers. - Vote rewards will get updated, milestones will get added with bigger rewards when reached. - We will be stricter when it comes down to swearing. Less warnings, more mutes and tempbans. - AntiCheat will get updated. - Something secret will happen. I'm so hyped for the reset!! I'm so happy. Thank you for all your hard work trying to put this together for us Fabian. You should add random teleport, maybe? De nieuwe biomes zien er dope uit! Is there any way you can expand the world size? Also, Ive heard through the grapevine that at least one of the people who requested to deactivate the skills in skyblock are donators. Why should the opinion of a donator matter more than free-to-play players? Donators have already given their money, while f2p players have the potential to do so. Wouldn't it make more sense to listen to BOTH? I mean, everyone knows that you're discouraging future potential donators by ignoring the free-to-play players, right? No? Nevermind then. Looks like the world be eaten away before I come online... Hahahaha! Well.. Nothing can be done about that. Anyways, will there be something to prevent the players making SV world look like a nuclear wasteland? It's annoying.. Area around my claim got turned into wasteland and it really saddens me tbh. And can dirt-huts and wastelands be removed somehow? Or some rule to be added because it's annoying. All those nice builds being in the middle of the wastelands is unsettling. The world border will be 10K x 10K at the start, otherwise it would take waaaaaay to long to generate it all. About the mcMMO levels split or not, I can't say anything yet for sure. And who told you that a donator asked to disable the mcMMO skills in sb? It was a non-donator that asked for it. Everybody on the server can ask for things but that doesn't always mean it will happen, if a donator has a good idea it might get added, if a non-donator had said the idea we also might add it. The main reason it is disabled at the moment is because it is to OP.